Location: The Art Institute of Chicago, U.S. Estimated value (2016): $151 million *Based on the auctions of Seurat's other works and adjusted for inflation & value appreciation. Georges-Pierre Seurat was a French impressionist painter, who was known for innovative painting techniques namely pointillism and divisionism. His most notable work -- A Sunday Afternoon on La Grande Jatte -- was credited for bringing about the age of Neo-Impressionism. 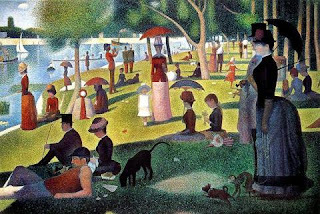 It took Seurat nearly two years to complete this masterpiece. Earlier, he painted two smaller works on the same locale as preparatory studies for the famous painting. Seurat died from illness at a young age of 31. 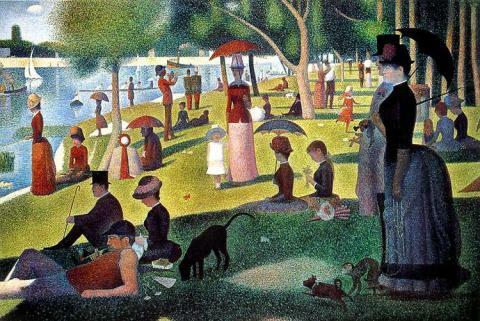 The painting depicts a typical Sunday afternoon at Grand Jatte, a small island and popular retreat northwest of Paris. The pointillist technique used to create this painting was considered revolutionary at the time. The painting consists of numerous dots of color. When viewed from afar or in a smaller size, the dots appear to fuse together generating a breath-taking mosaic of colors. Despite the unique art style, facial expressions are still present. Also, various members of Parisian society in Seurat's time are represented. Each character in the painting is cast in shadow. Seurat intended to depict a peaceful microcosm of Paris in this colorful masterwork.